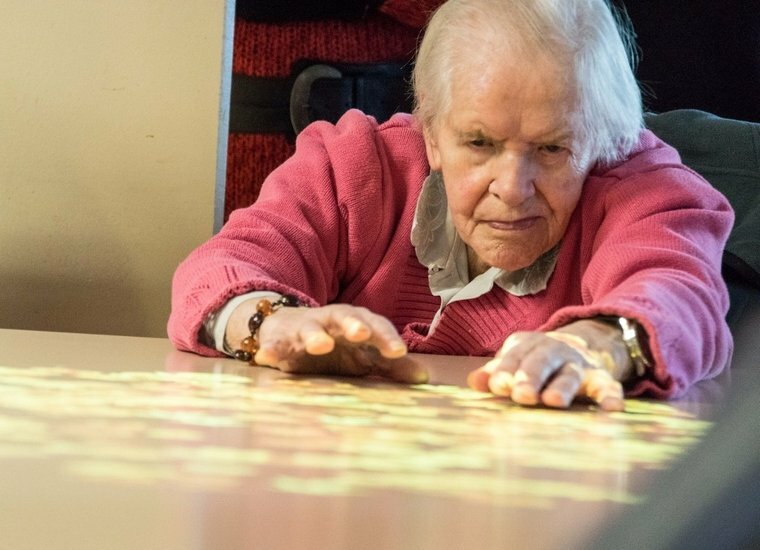 The Tovertafel by Active Cues is designed to encourage elderly people with Alzheimer’s disease to be more active in an independent way during the day. Most elderly people with a form of dementia are physically and socially passive. This is a shame considering that sufficient exercise contributes to the improvement of their flexibility, stability, coordination as well as their emotional and mental well-being. We are looking into the possibilities of how gaming can help elderly people with this and which player-experiences are suitable during the several stages of the Alzheimer’s disease. 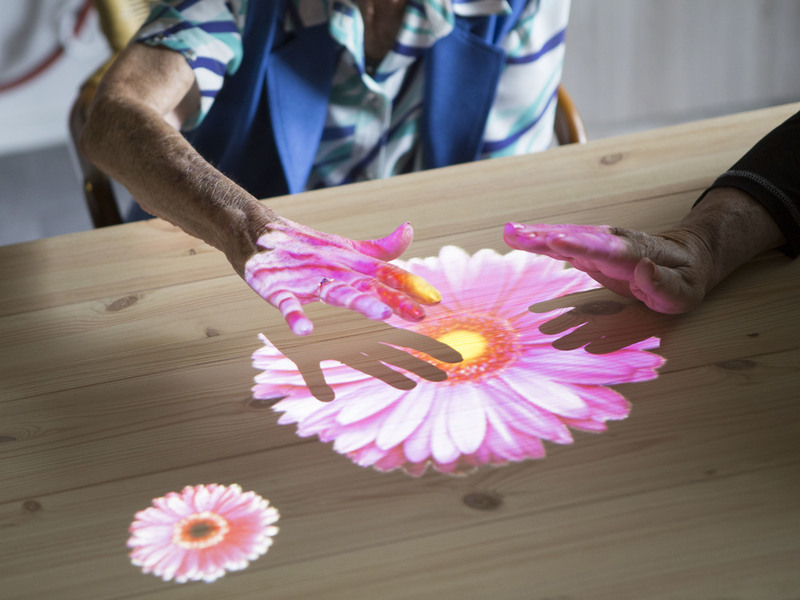 The prototype of the Tovertafel is designed for the elderly in an advanced stage of dementia. It stimulates their sensory perceptions and reminiscent. 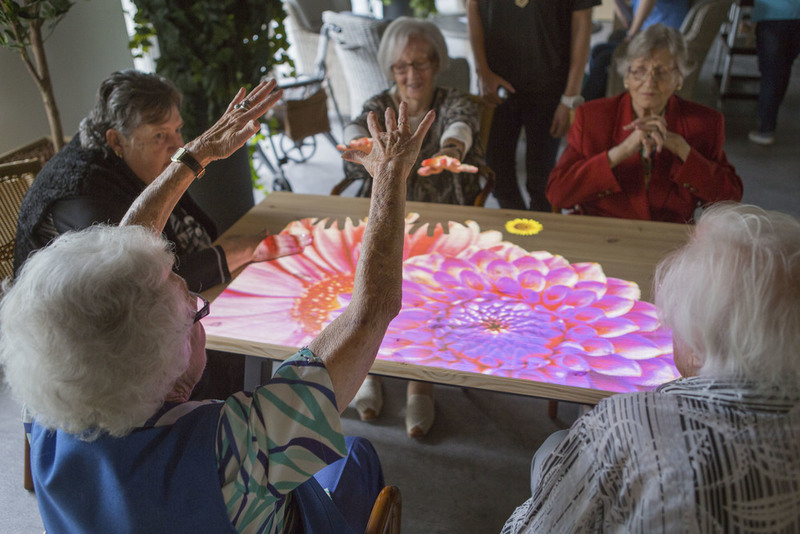 Each time the elderly people stop moving, the Tovertafel provides them with a playful stimulant by projecting ‘light cues’ on the dining table. These are all dynamic, surprising, familiar and cheerful projections. 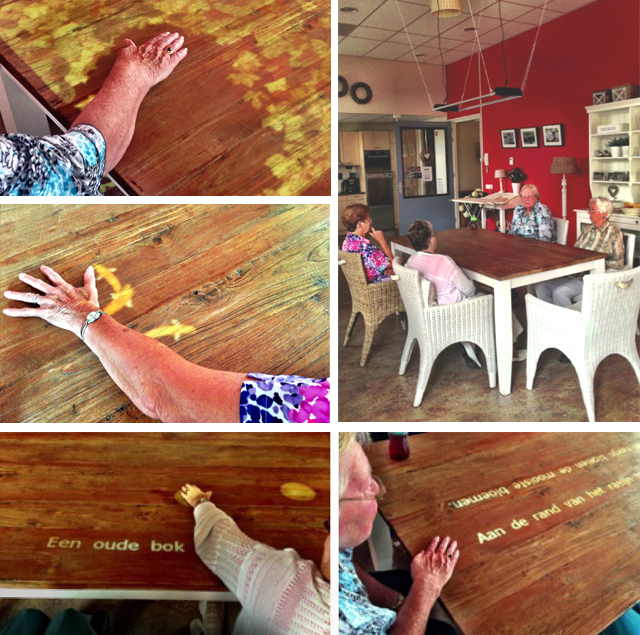 By creating this liveliness on the dining table, the elderly people move their hands and arms to discuss what they see! Because occupants find themselves in different stages of dementia, we have incorporated a stratification in the interactions, in order to trigger them on both a visual and mental level. The several interaction possibilities are extensively tested in cooperation with the occupants of the health facility Careyn and the Technical University Delft. This is a CRISP/G-Motiv project by Hester Anderiesen, TUDelft. For more information about the Tovertafel take a look a the Active Cues Website.